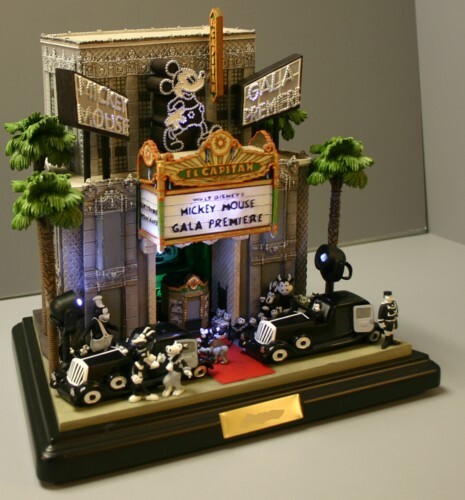 Olszewski Studios introduces this special release sold exclusively through Disney Shopping Inc. Olszewski's new design features Mickey Mouse on the red carpet along with Minnie Mouse and Pluto all in formal attire as they enter the El Capitan Theatre. 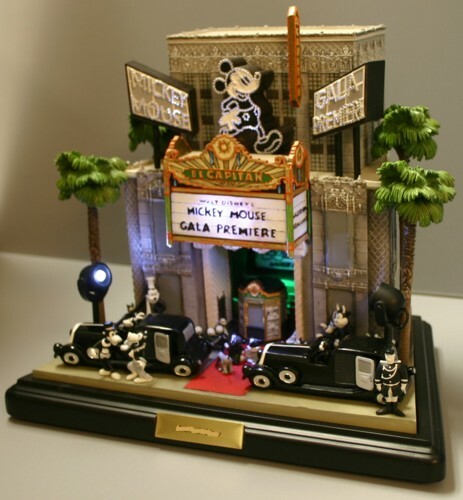 The spotlights shine on the event's gala activities with the characters arriving in grand and elegant period limousines. 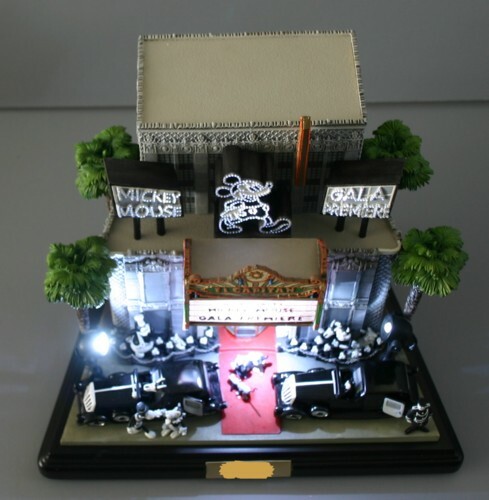 Olszewski's design further allows the collector to lift the cover off to expose an extraordinary inside view of the theatre where the movie Galloping Romance is playing. 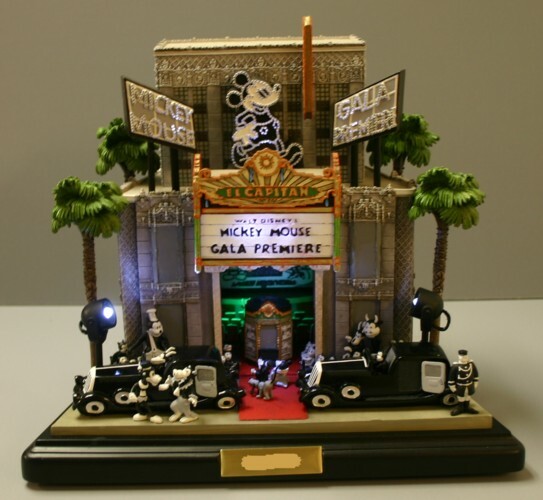 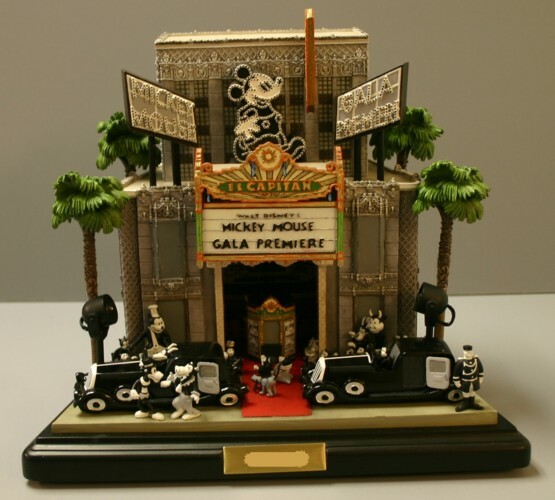 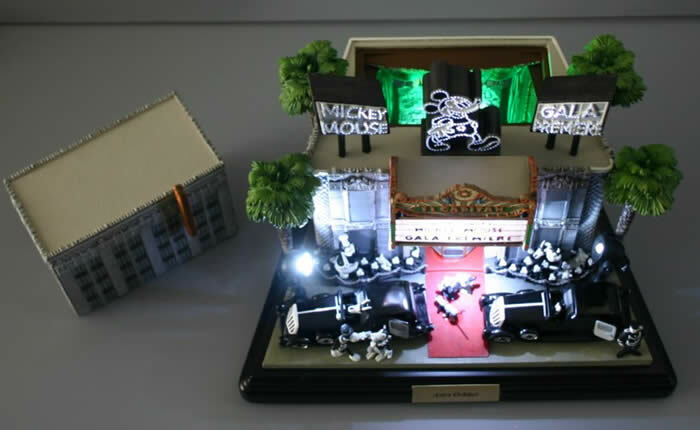 Mickey's Gala Premier is Limited to 500 pieces and is being sold at $199.00 each going on sale March 16, 2007.